Please read below before sending your hubs. 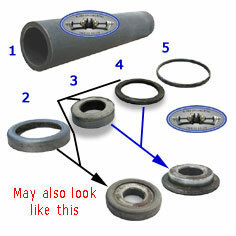 Please make sure that they are complete, cleaned and with all components included below. (E-Type Series 2/3, XJ Series 1/2/3, XJS only. For others please call). If any components are missing, the cost will be added to your total bill.